Today I've noticed my PC behaving oddly. CPU was high with Windows Event Log taking a lot of my CPU resources. Seemed weird at first. I've disabled all forwarders from Domain Controllers to see if something went wrong during my development but nothing changed. 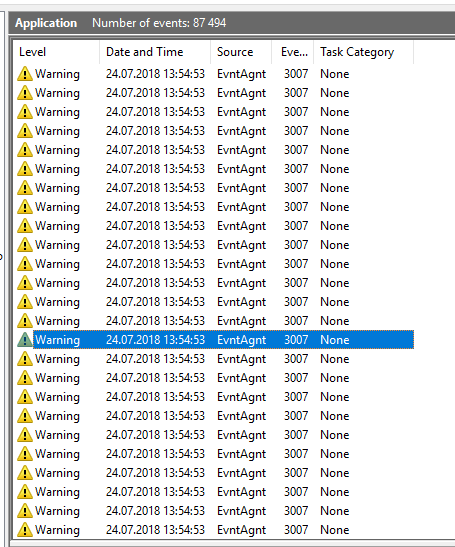 I then checked Resource Monitor and noticed High Disk Writes to Application Log. 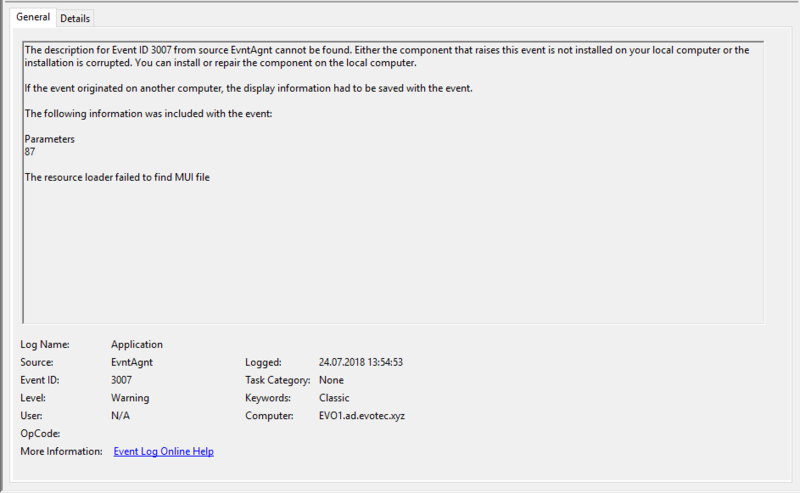 Which finally led me to this little error… well sort of 20MB of Warnings for EvntAgnt with Event ID 3007 going around in loops. This seems to happen on Windows 10 Enterprise – 10.0.17713 Build 17713 (Insiders) release. Not sure if it happens on any other version. Solution, weirdly enough is to disable SNMP Service. So just go to services.msc, find SNMP Service, then stop it, and finally disable it.